How do you live when faced with grave self-doubt and an unaccepting community? That’s one of the big questions in Boy Erased. The coming-of-age drama, opening on November 2, stars Lucas Hedges as a young man whose very nature is questioned by his family and community, and features Nicole Kidman and Russell Crowe as his parents. At the center of the story is Jared Eamons (Hedges), who can’t come to terms with the fact that he’s gay. Jared’s father, a baptist pastor, disavows Jared’s identity and insists that his son enter a conversion therapy program. There, Jared comes into contact with Victor Sykes, the head therapist, whose methods harm more than they help. Actor Joel Egerton not only plays the difficult therapist; he also wrote the script and directed the movie. With a strong premise and an award-worthy cast, Boy Erased looks like one of the most dramatic and emotionally impactful movies of the year. 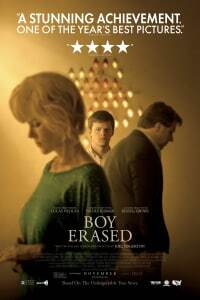 The most unsettling aspect, however, is that Boy Erased is based on a true story. Boy Erased is based on the story of Garrard Conley. Throughout his childhood and teens, Conley hid his sexuality. When he was 19, as his father was about to become a Baptist pastor, a friend outed Conley to his family. Due to his religious beliefs, Conley’s father refused to accept the revelation about Garrard. He forced his son to choose between being disowned by his friends and family, or entering a conversion therapy program called Love in Action. Conley’s own beliefs had been at the root of his own struggle with his identity, and he chose the conversion therapy. Little did he know how awful it would be. The program was based around the idea of eliminating what Love in Action called “false images,” which were anything that represented homosexuality or impulses that weren’t in line with the program’s ideals. For two weeks, Garrard was told that his sexuality was wrong, that it was a sin against God, that he was “unfixable and disgusting.” In his book, Boy Erased: A Memoir, Conley recounts how he was even forced to attend a mock funeral for another Love in Action subject, who tried to leave. The “funeral” featured a discussion of how the young man had fallen victim to AIDS after leaving the program. 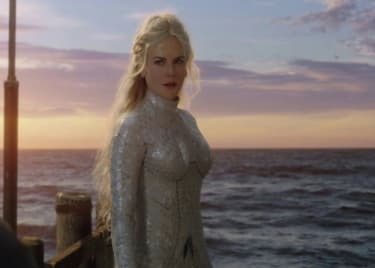 During an interview on This Morning, Conley discussed what the program entailed, including a confrontation with the head therapist that is depicted in the film. The therapy only got worse for Conley, and the young man was suicidal after a series of private sessions. But Conley’s mother —who had suspected her son was gay from a young age — had enough. She showed up during one of the sessions to extract her son from the program. Conley wrote of his experiences in Boy Erased: A Memoir to highlight the dangers of ‘conversion’ therapy. His story will hopefully inspire other families to approach their children differently. Boy Erased hits theaters on November 2, 2018.